Does it actually say you were declined? I filled out an application this morning. I had the same recruiter. I may have been declined already though, not sure if I am reading the Driver Pulse info correctly or not. Yes the driver pulse app said declined. I finally called and spoke with Ashley who said she would find out why and let me know. Waiting for a call now. Time of year may have something to do with class sizes. I'm in a weekend class as well. I started at the beginning of August with 6 people in the class. 1 dropped out after the third week. We're on our third weekend on the driving range with 3 trucks and 3 instructors. First thing in the morning,everyone does pre-trip and in-cab airbrake tests,then we split up in 2 groups of 2,on 2 trucks to practice our maneuvers,while the fifth student practices shifting on the outside of the practice range boundaries,or out on the road.Everyone is getting proficient with the backing maneuvers and we've all been on the road except for one student(difficulties with shifting) multiple times. Can a hauler cause this damage? Trainco is not a good school? Todd, welcome to our forum! You made a quantum leap there! Trucking companies change the way they do things all the time. Schneider, and many other companies have been hiring Trainco students for a long time. The purpose of these schools is to get you to the point of being able to obtain your CDL. Anything beyond that will be learned while working with a trainer at the company which hires you. Trucking school graduates are woefully unprepared to be successful truck drivers, in fact it pretty much takes a full year of doing this job before you begin to be proficient at it. There's not a truck driving school in the country that can get you where you need to be in just a matter of a few weeks. So... nobody here in this conversation said that Trainco was not a good school. Schneider has decided to go a different direction, just as they have done many times before. At one point they changed directions from training their own students and switched to using Trainco. Nobody assumed they did that because their own training was bad. There are a lot more reasons that go into these decisions than just deciding that a school is bad. Hey welcome aboard, and make sure you take a look at some of the following information. I think Todd F. is ASKING if Trainco is a bad school! The largest benefit of these attempts to automate trucking is that it shows the engineers and executives some of the bazillion things truck drivers deal with on a daily basis. The day they can remove the driver from the truck I'll eat sushi at the Pilot. I just looked it up and you can't park any commercial vehicles in residential neighborhoods. If I end up getting hired by Schneider,it won't be an issue since they have a facility about 20 mile from my house. 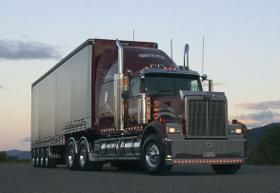 I don't have my CDL yet.Starting school Saturday,August 4th My question is about parking the truck and trailer during home time if the company you drive for doesn't have a terminal near your house? I have enough space in my driveway for the tractor,but not the trailer. Do companies allow you to park on the street in front of your house? I live in a residential sub-division in a small town and I'll contact my local PD to ask if there are any parking restrictions in my neighbohood. Roehl is out as far as company sponsored training because of licensing issues in/with Mass. I assume we'll have the same problem with any out of state school. You can enroll in a local school,get your CDL and drive for any company in the US.Most of them have a tuition reimbursement program. In Massachussetts,if you file a claim with your insurance,it shows up on your DMV record. More than likely the same in your state. Difficulty with Prime trainer. Please advise. Since the trailer was washed out 4 days prior,I would assume you were on home time for the days since the wash. Present the wash ticket to the guard and show him your qualcom to prove your downtime. ...or hitting it too hard and getting amnesia. I'm here to tell ya, use the High Road study guide and tests. You've got a good head start for January.